"I am not a has-been. I am a will be. " 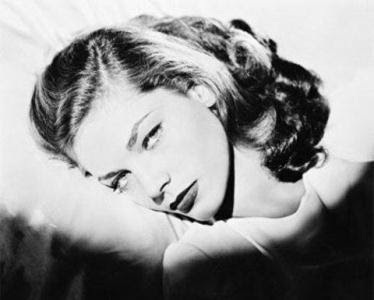 Lauren Bacall (born Betty Joan Perske) was born on September 16, 1924. She grew up in a middle class family and spent her first five years in Brooklyn. Her parents divorced and later her mother and her moved in with her grandmother and her Uncle Charlie. Her mother made everything possible to give her a good education. When she was young Lauren Bacall loved Bette Davis and had a crush on Leslie Howard. Even if her first ambition was to be a dancer she decided to go into acting. After high school she went to the American Academy of Dramatic Arts in New York for a year. Her first stage appearance was in January Two by Four in 1942. Because her mother couldn't pay the tuition for the Academy and no scholarship was offered to her, she entered the world of modeling. She quitted modeling and started working as an usher in one of Broadway's theaters. At 17 she met Gregory Peck, with who she remained friends with until his death. Being on the cover of Harper's Bazaar, the wife of Howard Hawks (famous director) told her husband to give Lauren a screen test which happened to be a success. She changed her name from Betty to Lauren. Her husky voice (love love love her voice !) was in fact the result of a training requested by Howard Hawks, who didn't like her voice at first. He then made her choose her leading man. Lauren Bacall chose Cary Grant, but Howard Hawks gave the role to Humphrey Bogart in the movie To Have and Have Not in 1944. Thinking about it…, Howard Hawks made the perfect choice ! During the screen test for To Have and Have Not, she pressed her chin against her chest and tilted her eyes upward to face the camera. This effect became known as "The Look", her trademark. Humphrey Bogart ("Bogie") and Lauren Bacall fell in love and married on May 21, 1946 in Ohio. It was the only happy marriage for Bogie who had been married three times before. Despite their age difference (Bogie was 45 and Lauren Bacall 20) their marriage only ended when Bogie passed away in 1957, living Lauren Bacall as a widow at age 32. Lauren Bacall always put her marriage first and only made one movie a year which many of them were with Bogie. On January 14, 1957, Humphrey Bogart died from throat cancer. 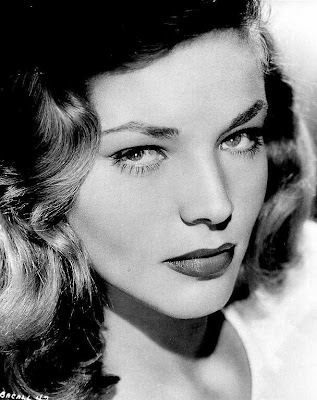 Lauren Bacall placed a whistle inside his coffin in memory of their first movie, where the following famous line was stated : "You know how to whistle don't you ? You just put your lips together and blow." I find this extremely romantic and it shows how much she loved him. Lauren Bacall was devastated by his death but liked she said herself, even one year together would have been better than nothing. They had two children together.
" Losing Bogey was horrible, obviously. -- I don't know what would have happened to me if I hadn't met him -- He changed me, he gave me everything. And he was an extraordinary man. " She later married Jason Robards.Jr but the marriage ended up in a divorce mainly because of his alcoholism. 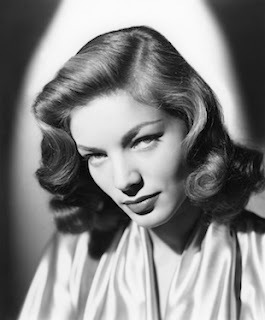 She had another son whose godmother is Katharine Hepburn. In 2009, she received an Academy Honorary Award. 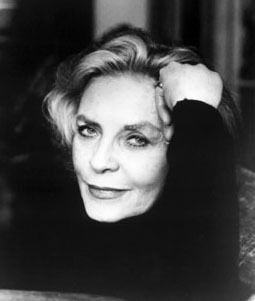 Lauren Bacall is the author of three books : By Myself (1978), Now (1994) and By Myself and Then Some (2005).
" I think your whole life shows in your face and you should be proud of that. "